2017-05-07 ~ National Association of Postal Employees, Tirunelveli Division. Housing accommodation is provided to a small segment of the Civil Servants. While the percentage of satisfaction is very high at the senior level Officers, Employees at the lower levels are to depend upon the market for a dwelling place. 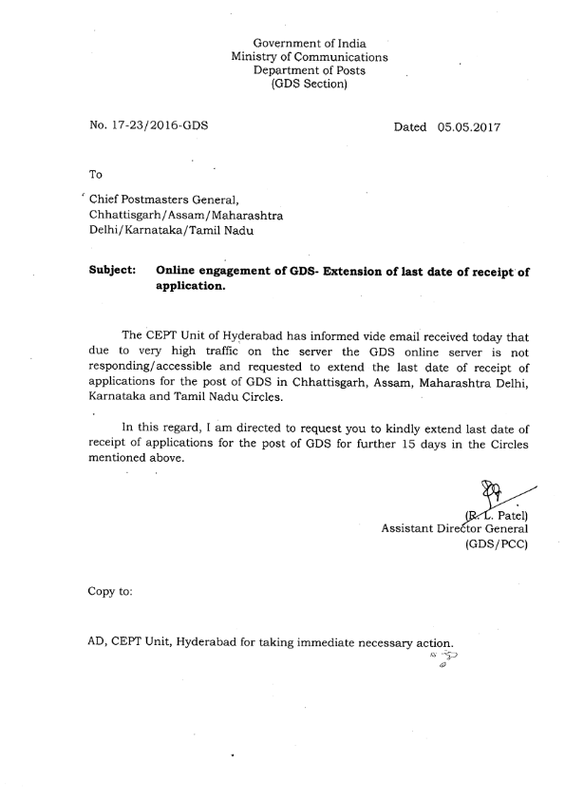 Of late recruitment at Gr B and C levels in Central Govt Offices is on the basis of an all India Examination and the regional recruitment which was in prevalence a decade back has been dispensed with. Once, recruited, he/she is perforce to be posted outside his/her home state making it necessary to search for a dwelling unit at the place of his/her posting and compete with those workers in the private sector whose salary levels in certain cases are phenomenally high. Housing in the country, despite introduction of various projects, tax concessions etc, continues to be a seller‟s paradise. A simple scrutiny of the rate of increase in the cost of construction and the rates quoted by the property dealers, real estate agents and tenant facilitators will reveal the extent of escalation in rent over the last a decade. In Para 8.7.14 the 7th CPC has made a bald statement that with the increase in Basic pay, most of the employees will be able to afford rented houses as per their entitlement. The Chart given under Para 8.7.14 indicates the rent increases over a period between 2006-14. The rent is shown to have gone up by 118% by 2014. The Commission has sourced the House Rent Index figures from AICPI (IW). We have no hesitation to state that the Commission's observation based upon the most unreliable data must be discarded. Even according to the said data, which only indicates the figures up to 2014, the registered increase was 118%. The progression between 2009 to 2014 from 136 to 168 gives an average increase of 22 points. This reads as much similar to the progression of the AICPI (IW) prepared by the Indian Labour Bureau Shimla, whose commodity prices have been adopted by the 7 CPC for minimum Wage computation. Relating the index figures indicated in chart under Para 8.7.14 to the DA percentage as on 1.1.2016 (125%), the ratio obtaining both in H1 and H2 i.e. 123 to 260 (2014) and 126 to 268 (2014) are 2.11 and 2.13 respectively. If the same is calibrated to 125% as on 1.1.2016, the ratio shall be 2.64 and 2.66. This will necessitate to raise the HRA to 33.13% in Metro Cities, 22% in Y Class Cities and 11.12% in Z class towns. "The hypothetical progression on average basis will also make it necessary to compensate housing expenses at 29.7% in Metro Cities and 19.74% in Y class Cities and 9.87% in Z class towns." The Commission is on record to state that the house rent factor in AICPI (IW) is on an average 15.27. The 6th CPC has indicated the factor at 8.67 and has been on record to state that the factor is not uniform at all places. The rates between Metro cities and small towns vary violently. This apart the Commission has applied a factor of 0.8 to all allowances, which are not cost indexed on the specious plea that wages per- se has been increased. While the Basic wages registered a paltry rise of 14% over a period of ten years (1.4% per annum) how justified is the stand of 7th CPC to apply a factor 0.8 to suppress the quantum of allowances is beyond comprehension. The Commission has proceeded with the assumption that the grant of 30,20 and 10% of the determined basic pay was a full and perfect reimbursement of expenses incurred by the Government employees on housing, which is undoubtedly erroneous as could be evidenced from the observation of the 6th CPC itself. Even if all these untenable contentions of 7 CPC and the unreliable statistics are taken into account, still it is clear that in order to maintain the present compensation level, the commission ought to have maintained the status quo in respect of rates of HRA and should not have reduced it by the application of 0.8 factor. We, therefore, request for the reasons adduced above, that the HRA may be retained at the levels determined by 6th CPC i.e. 30, 20, and 10 per cent of Basic pay for X,Y, Z class of cities and towns respectively. FEDERATION OF NATIONAL POSTAL ORGANISATIONS. Sub: Malpractices in Postman & Mail Guard Examination in Kerala-Circle. Question papers of the Postman and Mail Guard examination conducted on 07-05-2017 have been leaked. One candidate from Haryana State was arrested from an examination centre Kasargode District. It is reported that answer key of all four series of question papers was circulated by SMS after 30 minutes of commencement of the examination. This is not the first incident the same has happened earlier in Tamilnadu circle in a different way matter was reported by all the unions to the CPMG Tamil Nadu Circle, we are not aware of the action taken by the administration so far, had the administration taken proper steps this would have not happened repeated in Kerala state. In view of the above My Federation request the Chairman, Postal Board to take necessary steps to avoid the above malpractices in other circles. Further My federation request to order conduct an enquiry for malpractices in Tamilnadu & Kerala Circle. 2) P.U. Muralidharan, General secretary,NUGDS. Rotary Club Central has sponsored Rs.1000/- each to 75 underprivileged girl children to open 75 Sukanya Samriddhi Account (SSA) Accounts. Passbooks were distributed to the beneficiaries in a function held at Tirunelveli Head Post Office on 09.05.2017. 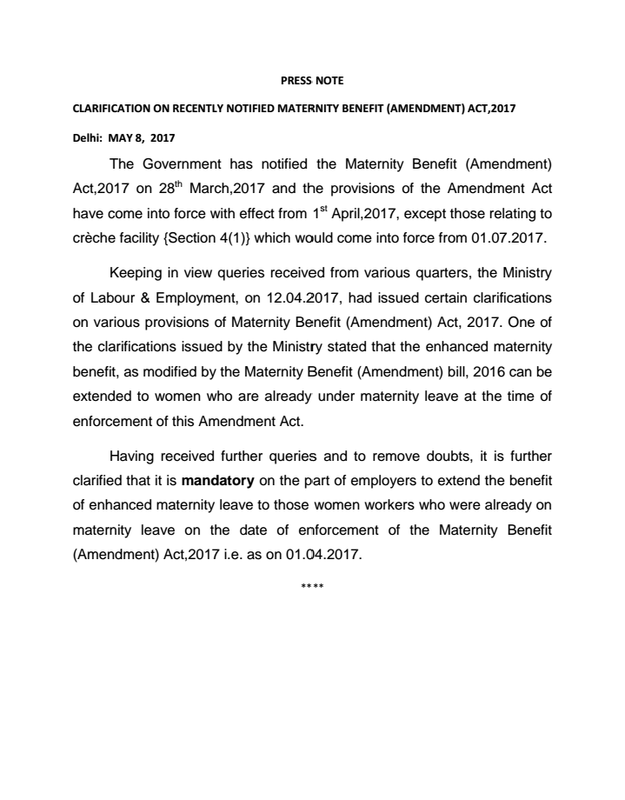 Ministry of Labour & Employment clarified that it is mandatory on the part of employers to extend the benefit of the enhanced maternity leave to those women workers who were already on maternity leave on the date of enforcement of the Maternity Benefit (Amendment ) Act ,2017 i.e as on 1.4.2017. 1. It's compulsory for postman to carry Mobile in field / door step of the customer. 2. All type articles will be delivered by the Postman through postman Application. 3. Customer signature and thumb impression will take on mobile devices using Postman Application. .4. After delivery of articles data uploaded on website at the same time/ immediately. 7. Games, other unauthorized applications and data's are prohibited. DOP Launches PMA Application for...? Chairman agreed to convene staff side meeting on cadre restructuring. Today (08.05.2017) FNPO Secretary General Shri.D.Theayagarajan met the Chairman, Postal Board, Member (O) and Member (P) at Directorate. The outcome of the meeting: Chairman agreed to convene staff side meeting shortly to finalise the issues of cadre restructuring. Little hike in fitment factor will make minimum wage rise substantially, will Modi Cabinet do it? “If they increase the fitment factor to 2.67, then the minimum wage would be Rs 20,000. Although, we have demanded Rs 26,000 as the minimum salary, we are not rigid on it. The minimum salary, following the implementation of 7th Pay Commission in July 2016, was increased to Rs 18,000 from Rs 7,000. However, the unions were unimpressed, demanding Rs 26,000 as the minimum salary, considering the impact of inflation. The Union Cabinet, chaired by PM Modi, recently approved important proposals relating to modifications in the 7th CPC ? The Union Cabinet, chaired by PM Modi, recently approved important proposals relating to modifications in the 7th CPC (Central Pay Commission) recommendations on pay structure and revision of the three pay matrices in the course of their implementation. 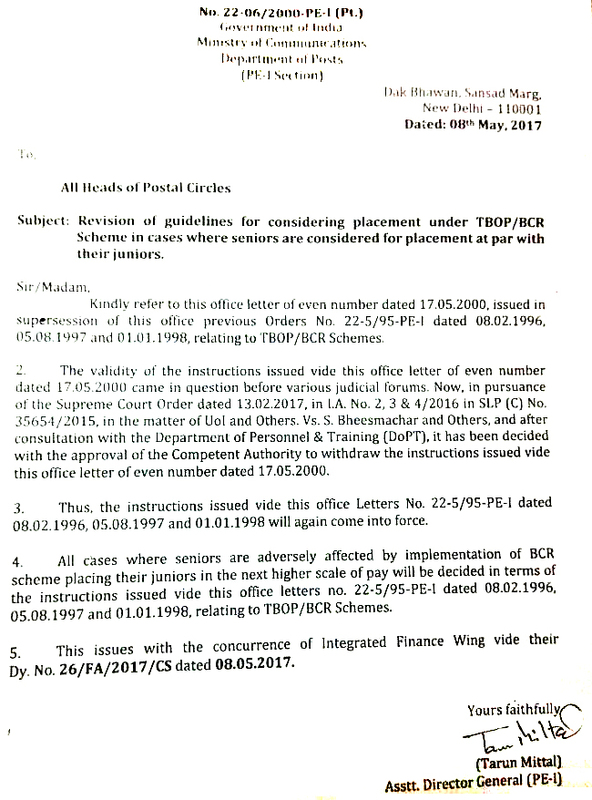 (a) Index of Rationalisation (IOR) of Level 13A (Brigadier) may be increased from 2.57 to 2.67. (b) Additional 3 stages in Levels 12A (Lt. Col.), 3 stages in Level 13 (Colonel) and 2 stages in Level 13A (Brigadier) may be added. (i) Defence Pay Matrix has been extended to 40 stages similar to the Civil Pay Matrix: The 7th CPC had recommended a compact Pay Matrix for Defence Forces personnel keeping in view the number of levels, age and retirement profiles of the service personnel. The Ministry of Defence raised the issue that the compact nature of the Defence Pay Matrix may lead to stagnation for JCOs in Defence Forces and proposed that the Defence Pay Matrix be extended to 40 stages. The Cabinet decision to extend the Defence Pay Matrix will benefit the JCOs who can continue in service without facing any stagnation till their retirement age of 57 years. equivalent) in the Defence Pay Matrix has already been revised upwards with the approval of the Cabinet earlier. In view of the request from Ministry of Defence for raising the IOR for Levels 12 A and 13 of the Defence Pay Matrix and requests from others, the IOR for these levels has been revised upwards to ensure uniformity of approach in determining the IOR. In next few days, the report will be placed before the Empowered Committee of Secretaries (E-CoS) which was set up to screen the 7th Pay Commission recommendations. New Delhi, May 5: A week after Finance Secretary Ashok Lavasa who was heading the ‘Committee on Allowance’ submitted its final report to Finance Minister Arun Jaitley, now it is upto the Empowered Committee of Secretaries (E-CoS) to take a final call. Some reports suggest that the Empowered Committee of Secretaries may take 2-3 weeks to screen the allowance committee report on 7th Pay Commission recommendations. The E-CoS will then come up with a firm proposal which will be kept in front of the Union Cabinet for approval. The National Joint Council of Action (NJCA), a joint body of union earlier this week met top government officials where he was told about the tentative time to be taken by the Empowered Committee of Secretaries on screening the allowance committee report on 7th Pay Commission recommendations. The Lavasa committee submitted its final report to Arun Jaitley on April 27. According to a report, the allowance committee has suggested minor modifications in some allowances that are applicable universally to all employees as well as certain other allowances which is applicable to specific employee categories. The allowance committee is currently examining the cost and expenditure of the arrears on allowances. Once the process is completed, the report will be placed before the Empowered Committee of Secretaries (E-CoS) which was set up to screen the 7th Pay Commission recommendations and then the proposal will be sent for approval of the Cabinet. The employee union official said that the allowance report will be soon taken up by the Empowered Committee of Secretaries. Earlier the 7th Pay Commission had recommended that the House Rent Allowance (HRA) be paid at the rate of 24 per cent, 16 per cent and 8 per cent of the new basic pay, depending on the type of city. The Commission had also recommended that the rate of the HRSA must be revised to 27 per cent, 18 per cent and 9 per cent when Dearness Allowance crosses 50 per cent, and further revised to 30 per cent, 20 per cent and 10 per cent when the Dearness Allowance crosses 100 per cent. With regard to allowances, the NJCA and several other employee unions have demanded the HRA at the rate of 30 per cent, 20 per cent and 10 per cent. Last year the 7th Pay Commission had recommended that out of a total of 196 allowances, 52 must be abolished and 36 other allowances must be abolished as separate identities by subsuming them in another allowance. Meanwhile, the Union Cabinet on Wednesday approved the modification in recommendations of the 7th Pay Commission relating to the method of revision of pension of pre-2016 pensioners and family pensioners based on recommendations of a high-level panel. Some reports suggest that the decision might benefit over 55 lakh civil and defence pensioners and family pensioners who were employed before 2016.